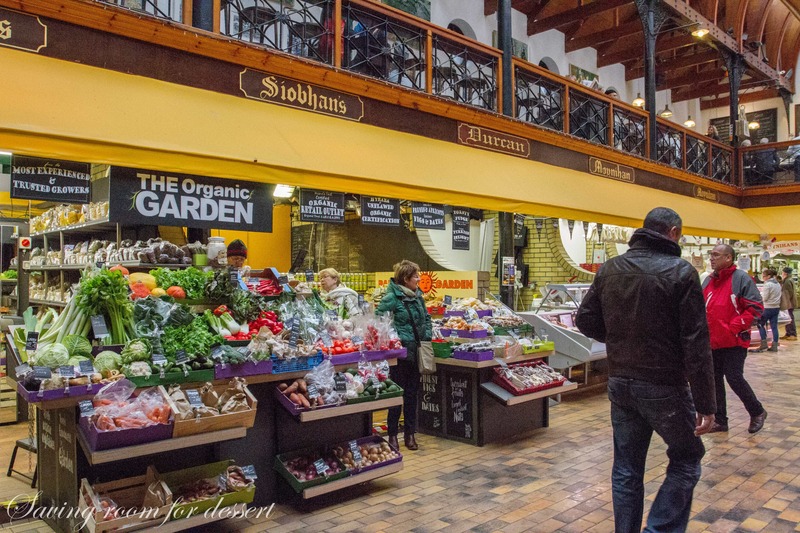 For all you foodies out there, I thought you might enjoy a quick peek at our trip to the English Market in Cork, Ireland. Cork is in the south-western region of Ireland and is the second largest city and the third most populated in Ireland. 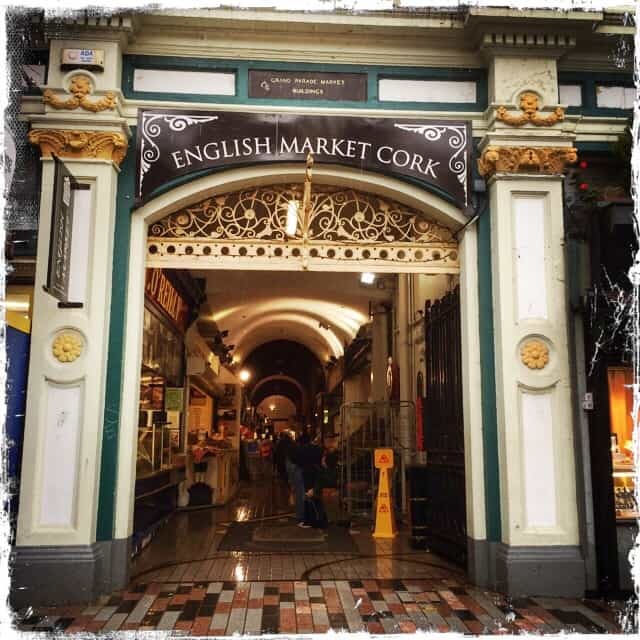 There’s a lot to do in Cork but it was a very rainy day and since we were just passing through, a few hours drooling at the market was the perfect plan. 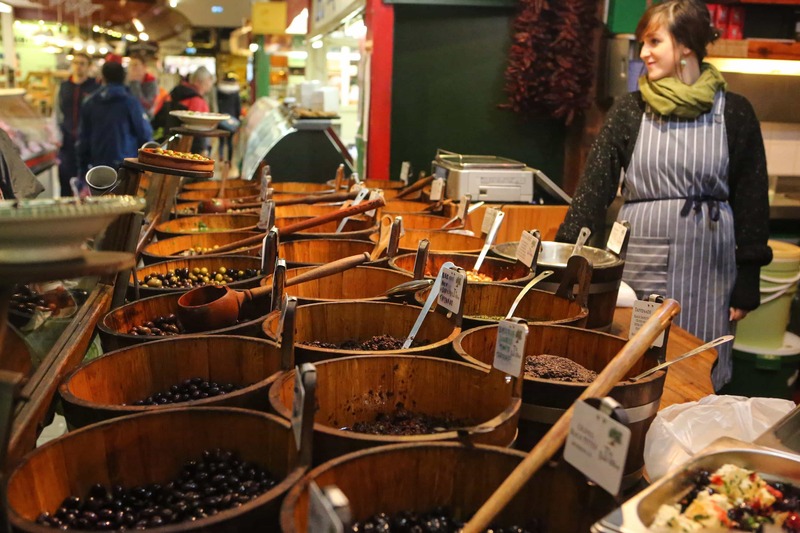 The English Market has a fascinating history dating as far back as 1786. That’s before the United States had it’s first president! 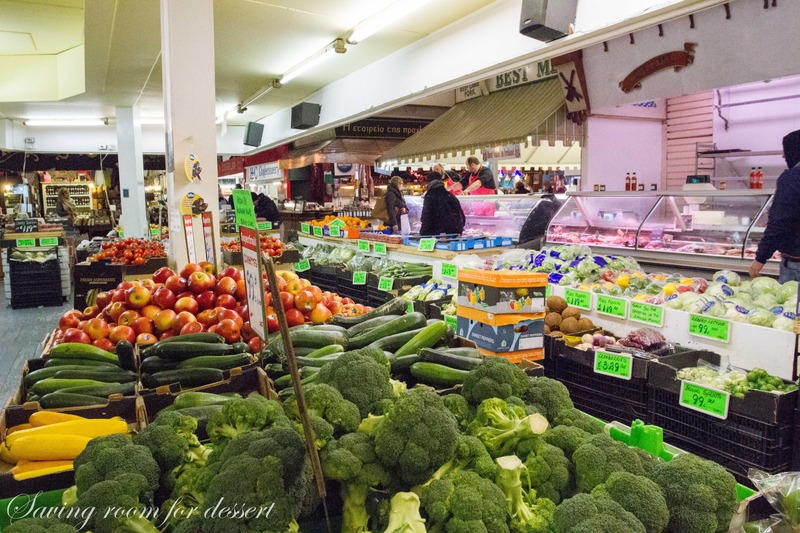 The market officially opened in August of 1788 and continues to thrive today. I guess you’re not surprised that I started this post with pictures of dessert. 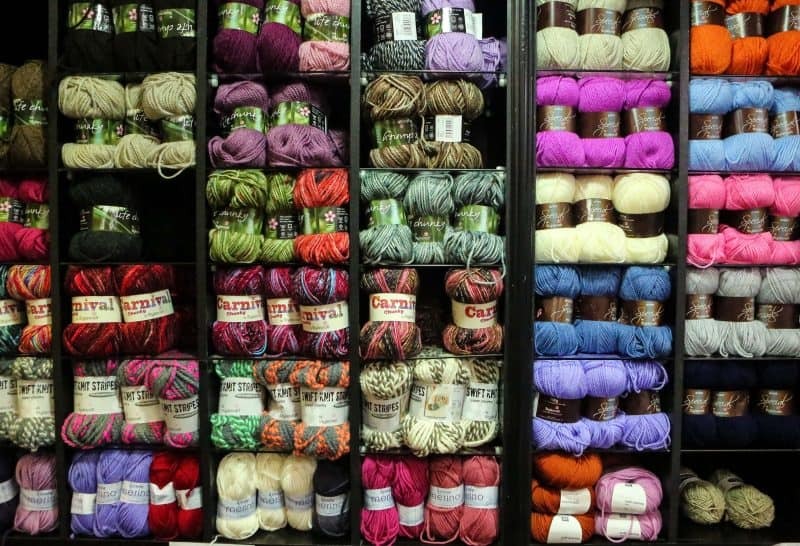 How can you pick just one … or two? 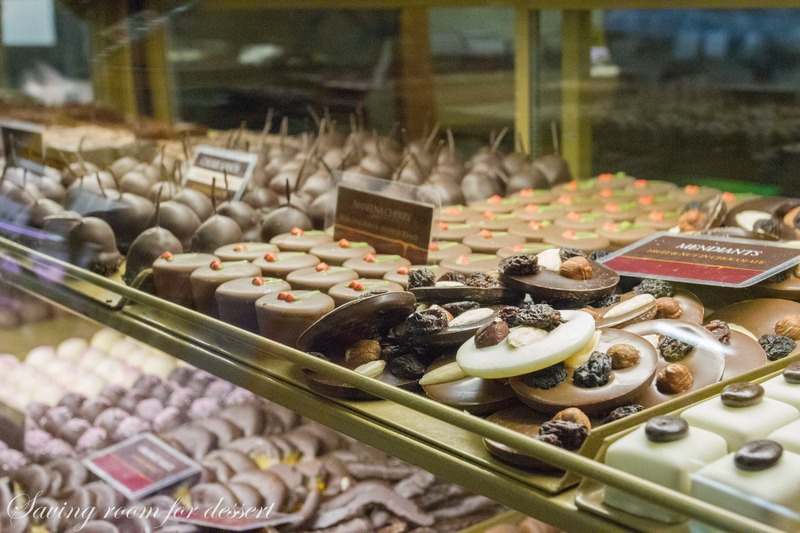 The round chocolates with raisins and nuts look just like some Sue at the View from Great Island just posted on her blog. There are many places to eat but this portion of the market has an upstairs restaurant. We just walked and snacked and gathered bags of goodies to take with us on our travels. 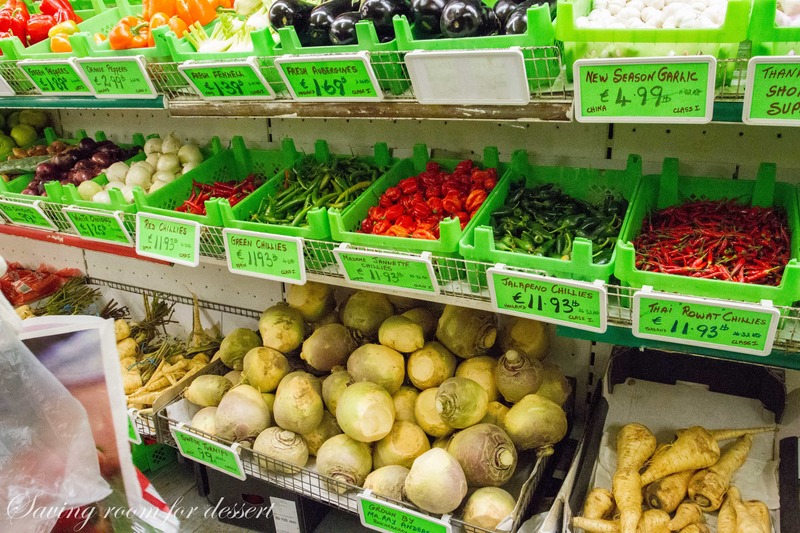 I only wish I could have bought fresh produce because it all looked amazing. 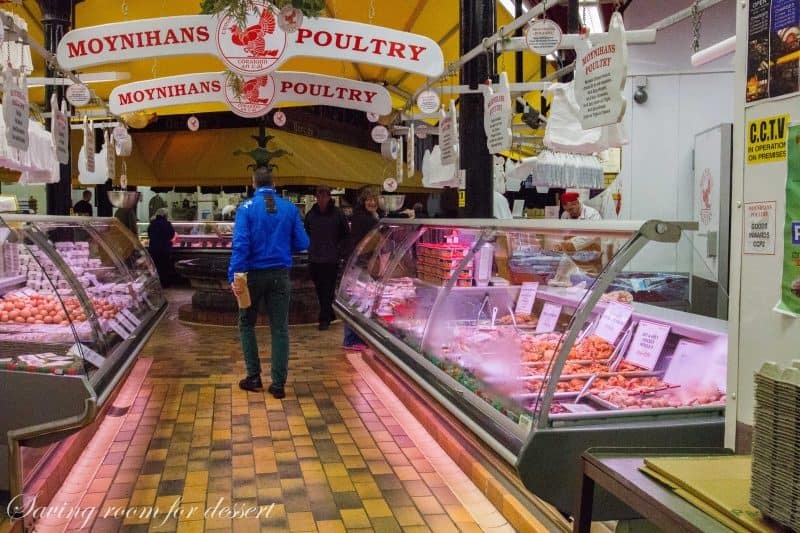 There are entire sections of just poultry, or beef and seafood. 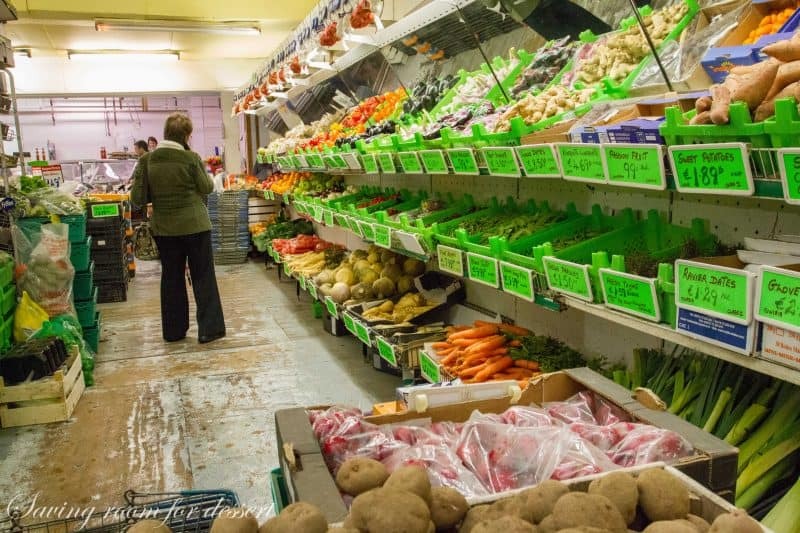 The market is well organized, clean and super friendly. I have no idea what all these are but I want some! 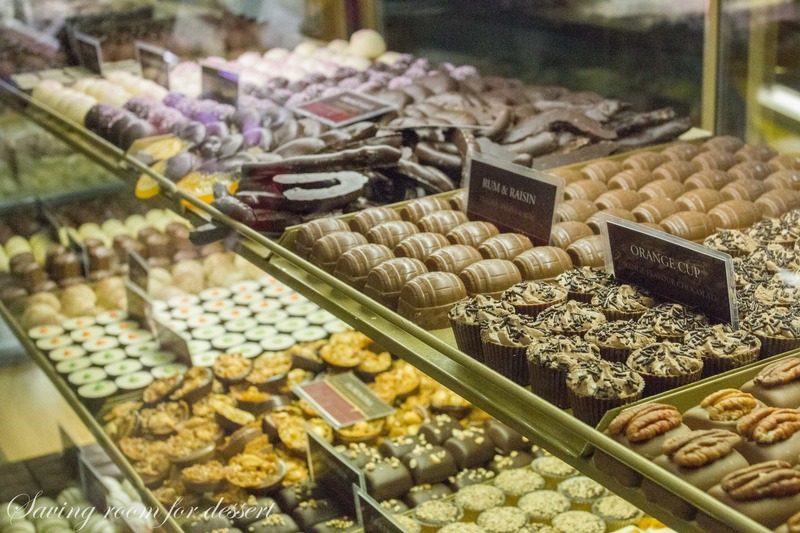 To spend a day, or two, or three with a pastry chef in Ireland would be pretty amazing. Those are the happiest carrots I’ve ever seen – and yes carrots can be happy. They must have the best soil because everything looks and tastes so fresh and pure. 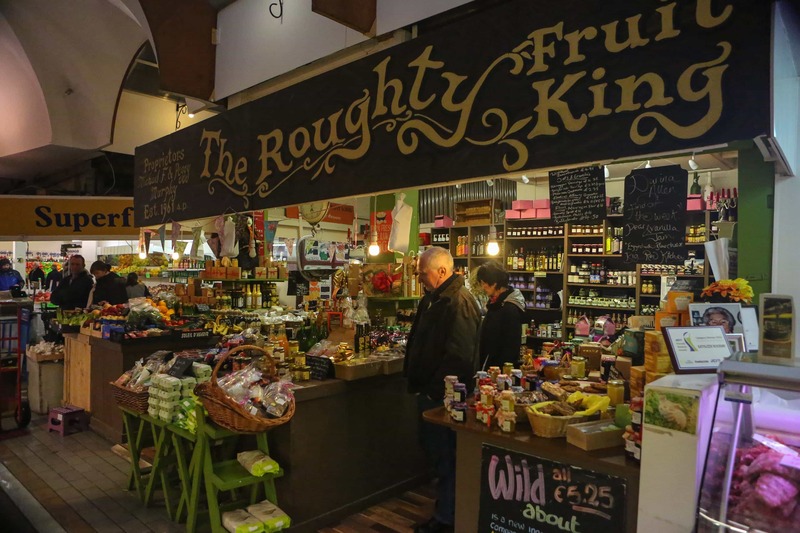 The Market is in the center of downtown Cork so city dwellers probably shop here on a regular basis. I must have stopped at the olives 4 or 5 times. If I lived there I would be buying little bags of these gems weekly! 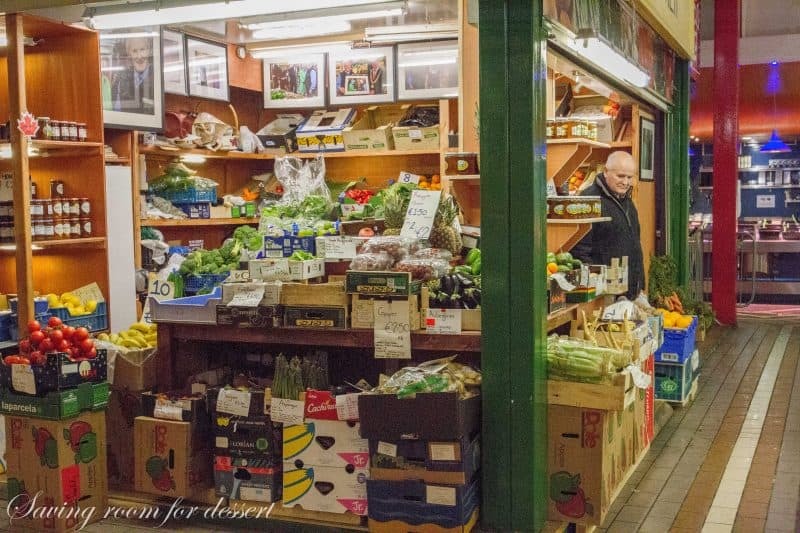 If you happen to visit The English Market, allow yourself plenty of time to browse. My husband and his sister-in-law Rita and I all took off in different directions. Occasionally we would run into each other and open our bags to show the treasurers we found. We were like kids going trick-or-treating on Halloween. Bread, bread, bread. I love rustic loaves! There are small yarn shops, vintage clothing stores, jewelry and even a Turkish Barber Shop where my husband got shave. He was thrilled. Did I mention that I love olives? 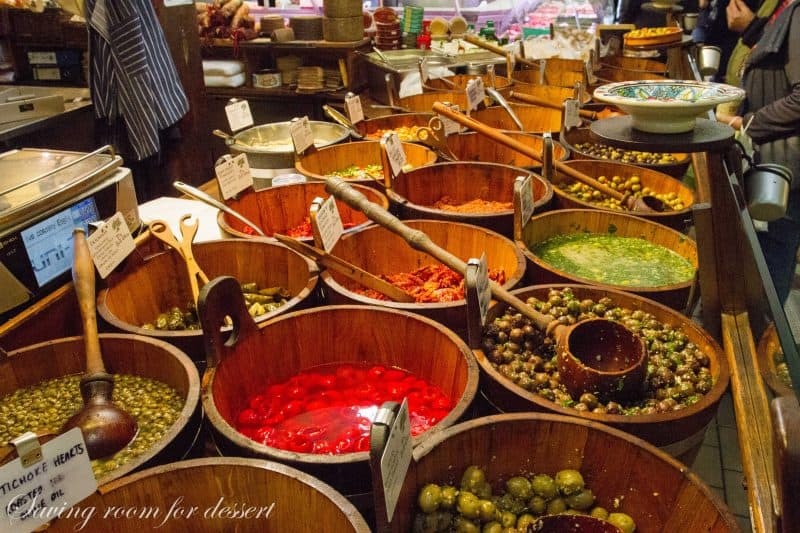 They have an amazing variety of tapenades and olive cheese mixtures. 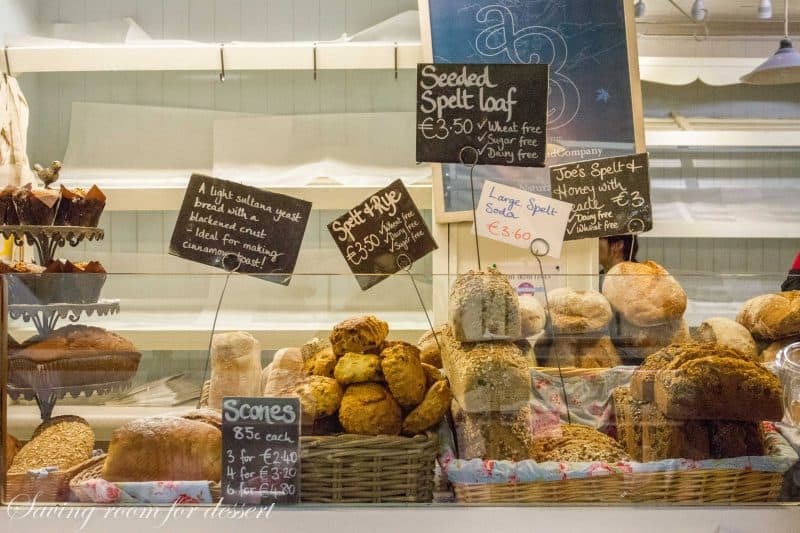 Back at the bread again – I am so predictable! Poultry and eggs, and eggs and poultry. 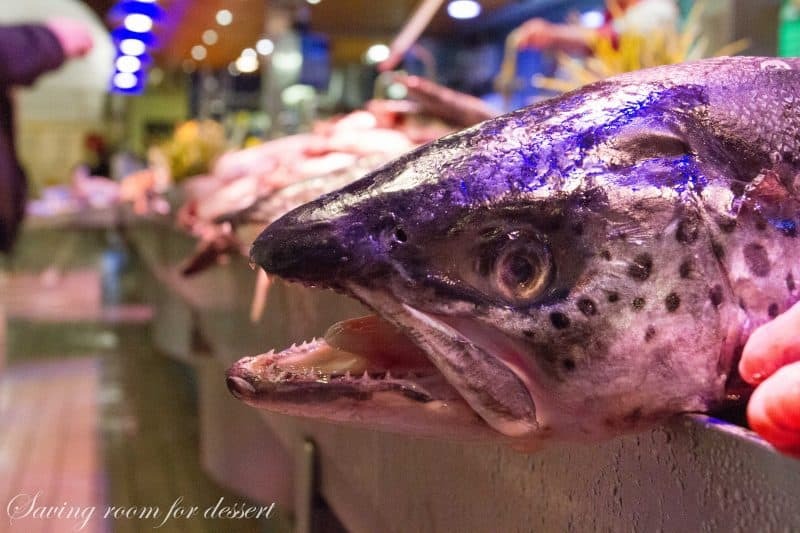 Oh the fish – there was so much fish! I don’t think I would try these – I’m not that brave! He looks like he’s trying to reach out and bite those passing by. He’s not really painted blue – they have blue lights that probably make the fish look fishier or something. OMG, Ireland has been at the top of my bucket list for years. This was an awesome start to my Saturday morning. Thank you for sharing! Thanks Dona – it is a must take adventure for sure. SO beautiful and fun. We have several posts – hope you check them all out! I just loved looking at this! Anytime I’m traveling, if there is a food hall/market, I could spend a whole day there. And the pastries and bread are my favorite. 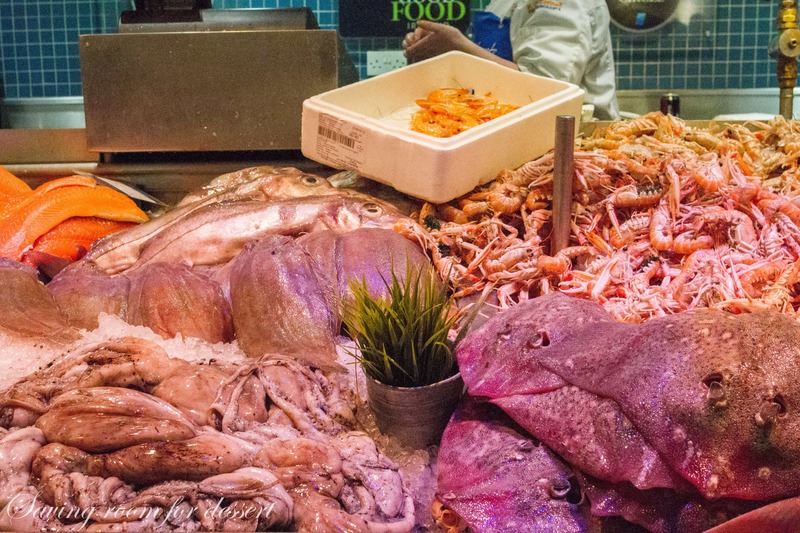 Lovely look into this special market, Tricia. It looks like a lot of fun…I would get lost for hours wandering around. 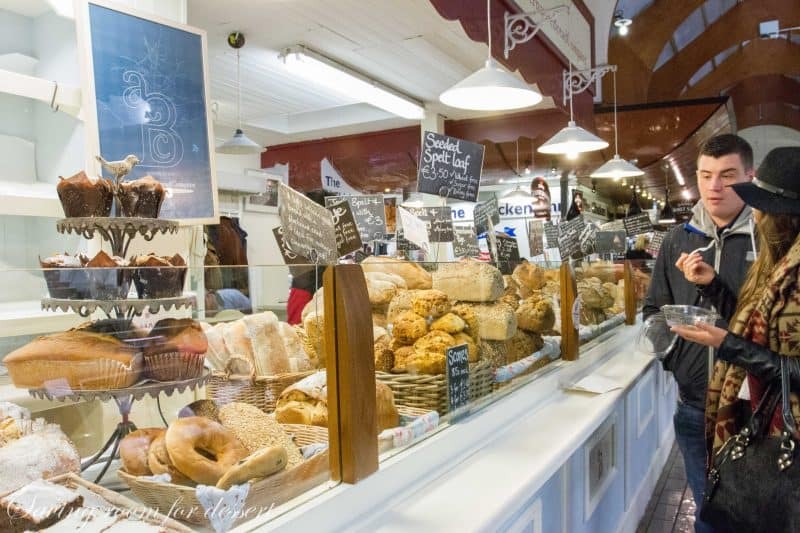 Pastries and bread – my favorites too! A skate fish – thanks for letting me know – I had to look it up so I could see what-up with such an ugly fish! Haha – have a great weekend Tanna! Now that’s a market! Looks like that you had a marvelous time there…I would love some bread and olives..so good together! 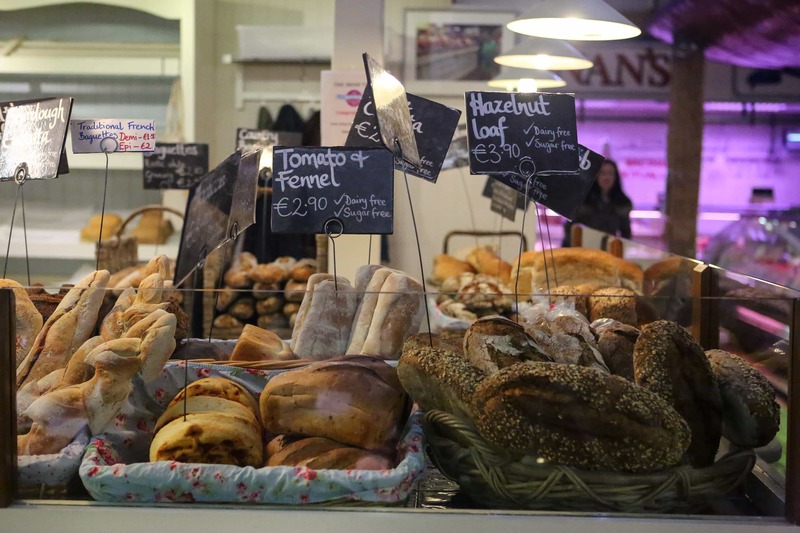 Bread and olives, cheese and bread – I could live on that stuff – have a lovely weekend Angie! 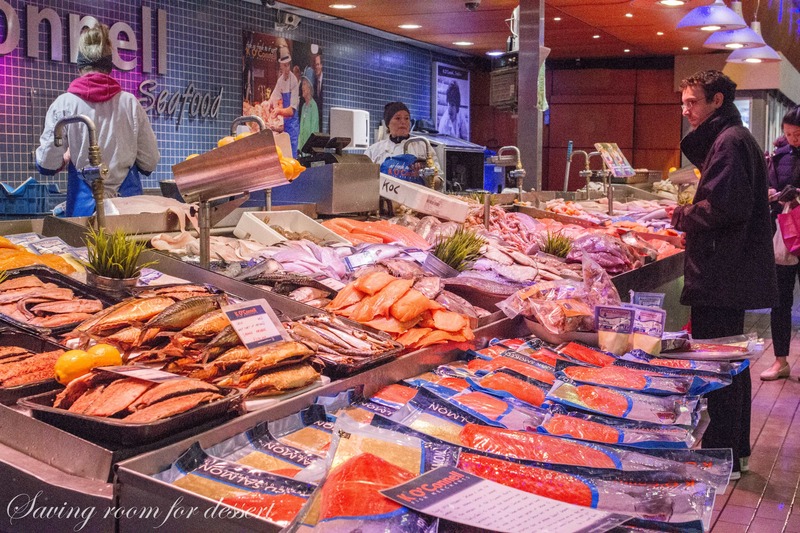 That English Market looks great, I love to visit food markets, flea markets, etc. Your pictures are great, all those desserts!! How many did you try? 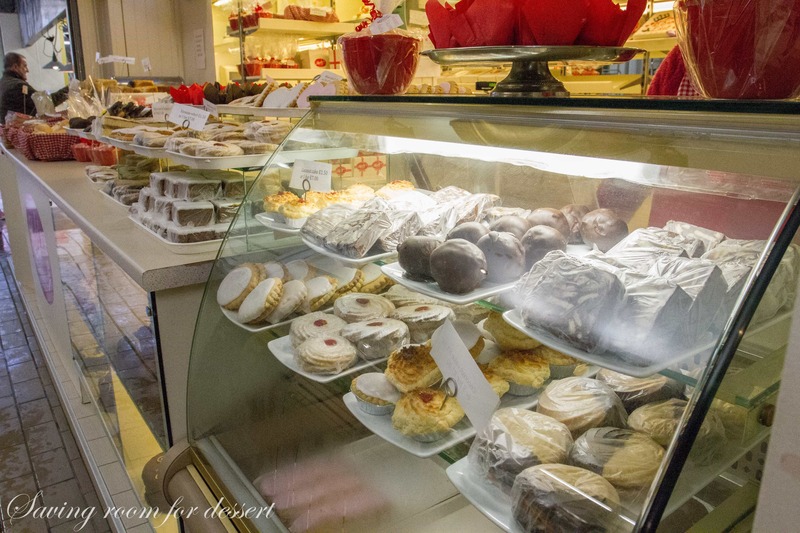 Did you come home with any dessert recipes? Tomorrow is Pie Day and then we have another different Pi Day on March 14th!! 🙂 Thank you for sharing your travel photos! 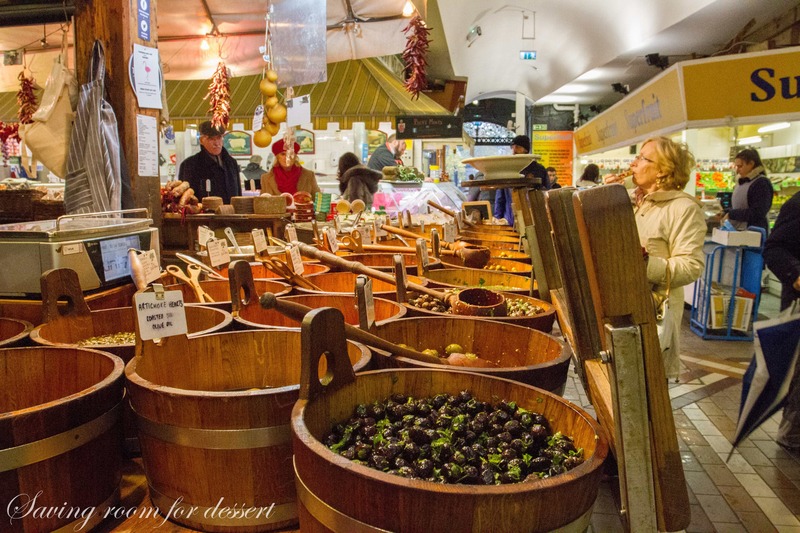 We only bought a few pieces of chocolate and no pastries 🙁 I ate so much butter in Ireland – I was saving myself for the next meal -haha but we did eat a little cheese and figs that were fantastic! 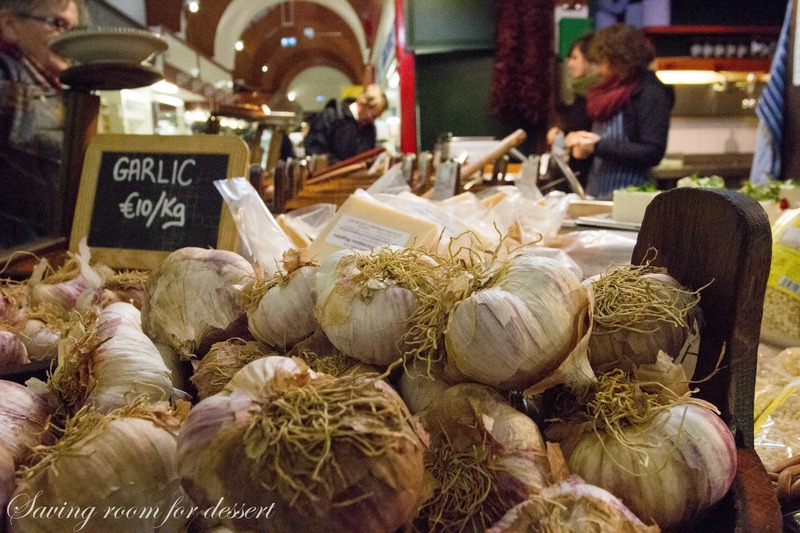 Oh, how I love your travel posts, Tricia. They give me a horrible case of wander lust!! 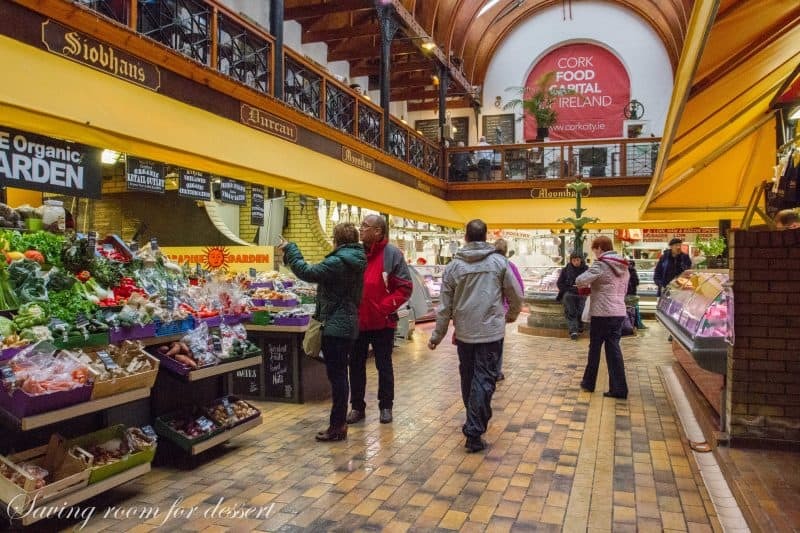 Wouldn’t it be fun to stay in an apartment rental in Cork (for a week maybe) and shop at this market?! I am putting it on my ever growing wish list. 🙂 Thanks for sharing your beautiful photos! 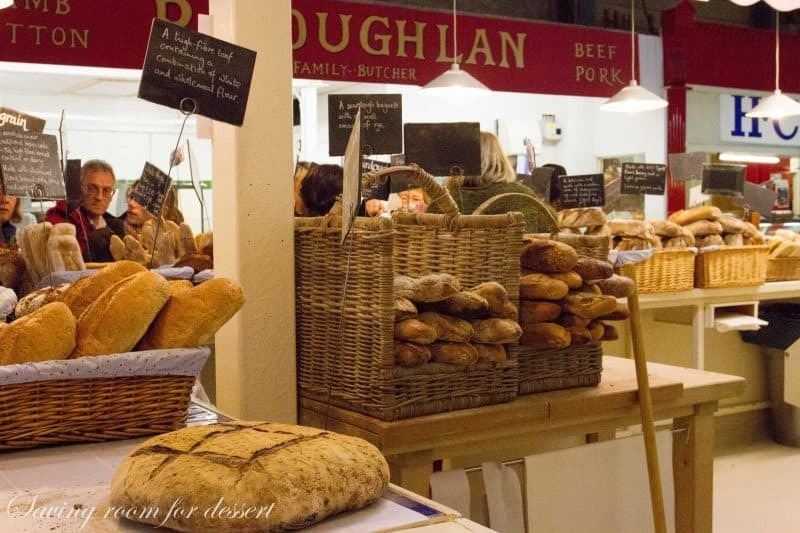 I love food markets, and it sounds like you had a great time there. Everything looks so clean and so colourful. And thanks for the update on National Pie Day! I’d love to commemorate it. Wow, just wow. 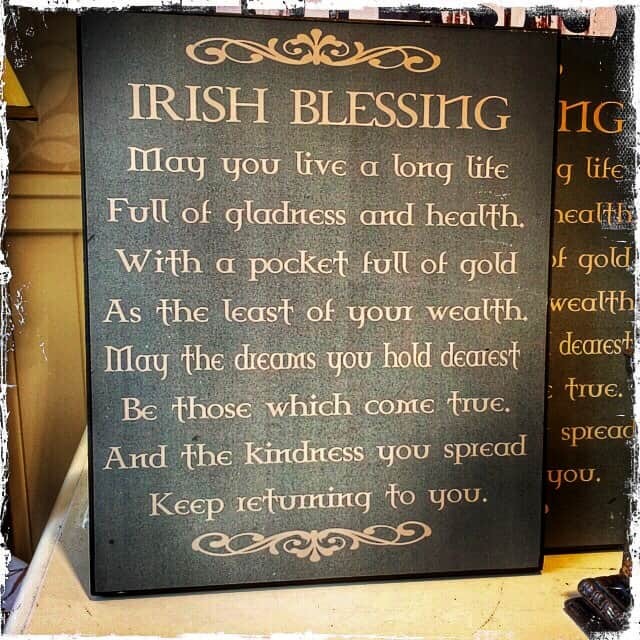 I would set up a tent and never leave, what a place, it really changes my view of Irish food, for sure! It is a foodie experience for sure! It was recommended to us by Inga from Cashel. She said since we loved food and blogging we had to stop by. If you search anything about the market you will find it is extremely popular. It was a perfect place to spend a leisurely afternoon – and I could have stayed longer! Hope you had a wonderful birthday. Thanks Sue.